Our wardrobe is standing on itself. It is full of clothes and their weight helps it not to fall apart. It doesn't stop us from buying new stuff and from finding ways to make room for the new additions. We are not buying less but we are buying good pieces that will certainly last! Nowadays, people who buy clothes have to be aware of the quality, of the supply chain and by whom it has been produced. The esteem of a brand is no longer guaranteed by the respect of all the aims which matter above all. It's not a trend that Fashion has to respect environment, the people who make the clothes and the one who buy them. It has to be an equality and it's not a utopia anymore. It's now! Honest by Bruno Pieters goes hand in hand with this philosophy. 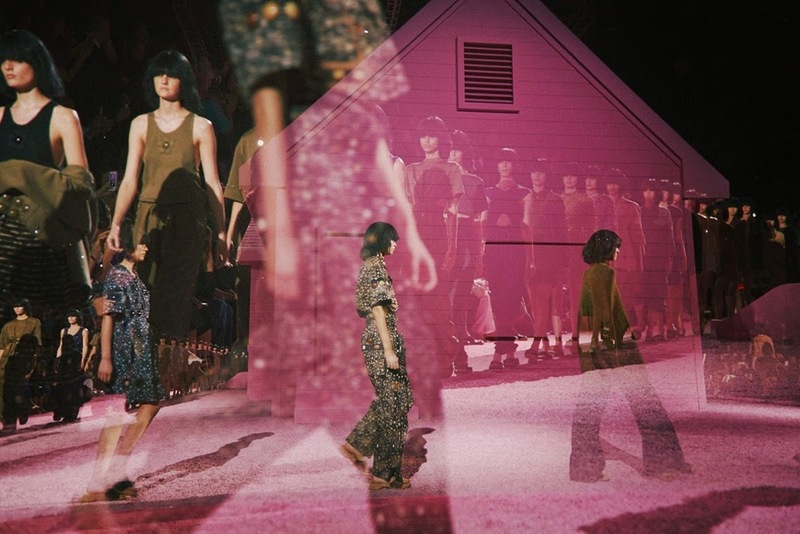 "We believe that Fashion is about beauty and the story behind fashion can be equally beautiful. We want to give our customers the opportunity to shop with complete awareness of what they are buying. We want to produce all of our products in a life friendly way. We believe in the health of our clients skin. We want the impact of our products and activities on the environment and human health to be as small as possible." 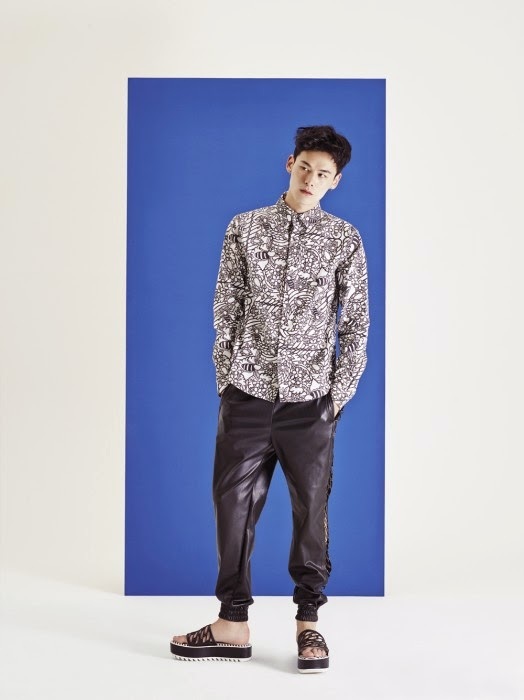 The project was created by Pieters, but the company also sells new collections from established and upcoming designers. They offer a whole range of investment pieces considering the work on raw materials that demand a lot of researches. Not all the established labels can give such transparency explaining the prices and the all process of production. It's about creating something that matters and that has a soul. Boxy and sharp shapes always have a serious impact on us. 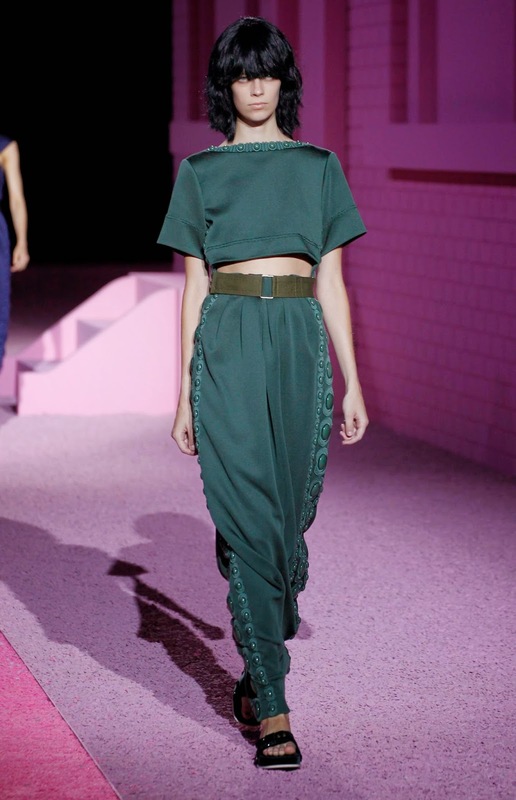 We love the play on proportions, the mix of fabrics and colors. 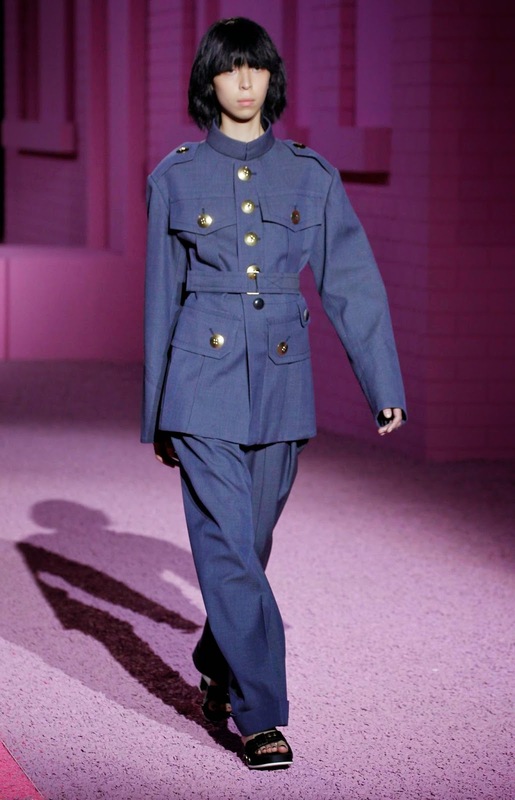 We also like that the collection has this gender-less vibe. 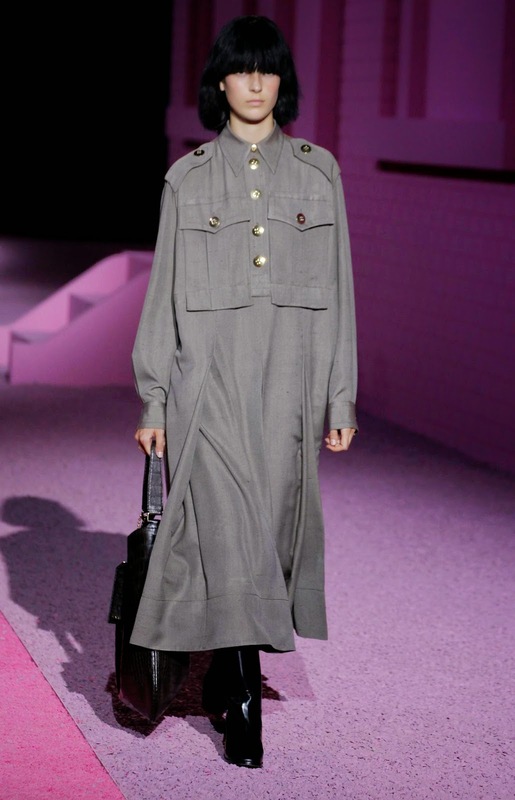 No need to edit a lot of pieces as Pieters focuses on the essentials: a coat, a suit, a dress, a pair of shorts, a skirt, a pair of pants and a bag. We want them all! A few days ago, as I were wandering on the web taking a look at my favorite sites, a piece of news particularly caught my attention: the movie Splash starring Tom Hanks & Daryl Hannah is turning 30 this month. Isn't it crazy? Ok, not crazy in a "OMFG it's insane" way! But for sure it is crazy as with this kind of news, you can only acknowledge that time is fleeing fast. When I was a kid, Splash was one of my first memorable movie experiences. I loved this movie so much though Daryl Hannah's tail as a mermaid scared me a bit, don't know why.... Even if I haven't watched it for ages, I can remember the scene in the bathtub or her screaming so piercingly. I don't know if it would have the same effect on me now I am an adult. Sometimes, you have to leave things to the past to keep the magic and the good memories going. Mermaids have always been fascinating characters to me. 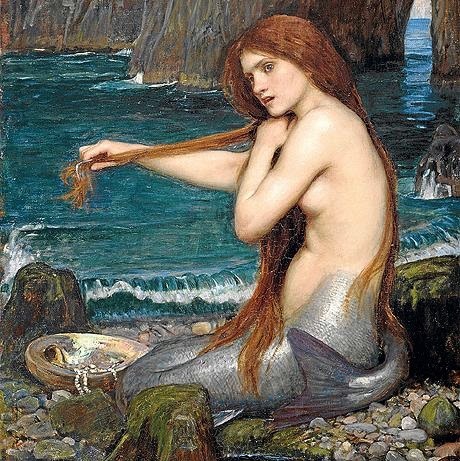 At school, I remember my teacher telling us about the dangerous mermaids in Homer's Odyssey singing beautiful songs to catch and kill sailors. So, these mythical characters could be either young and naive girls such as Ariel, the Little Mermaid and Madison, Daryl Hannah's character in Splash or lethal and pitiless women such as Gemma Ward in Pirates of the Caribbean. The perfect mix in fact because unlike witches who are only wicked and princesses who are nothing but beauties, mermaids have both so double opportunity to get what they want. I wonder how Sofia Coppola will depict Ariel in the new adaptation of the Little Mermaid. Will she be a girl who finds her life boring and who wants more fun? Or will she be a little bit of a danger? Time will tell but we can't wait to see the result. If you need any piece of evidence that mermaids are trendy now you have one with Sofia Coppola directing a Little Mermaid movie. Sofia Coppola is "trendy" and she has surely understood the incredible potential lying behind this mythological figure. Fashion did understand this fact for a while now as here and there references to mermaids and to the captivating underwater world appear on the runways. Sometimes, it is playful and somehow literal like in Bobby Abley's latest collection for Spring Summer 2015 where he presented clothes with characters from Disney's The Little Mermaid on them: the evil Ursula, Ariel or Sebastian, the lobster and at other times, it is made with more delicacy and insight, more like a way to go back to the traditional image of the mermaid when made by the Mulleavy sisters at Rodarte. 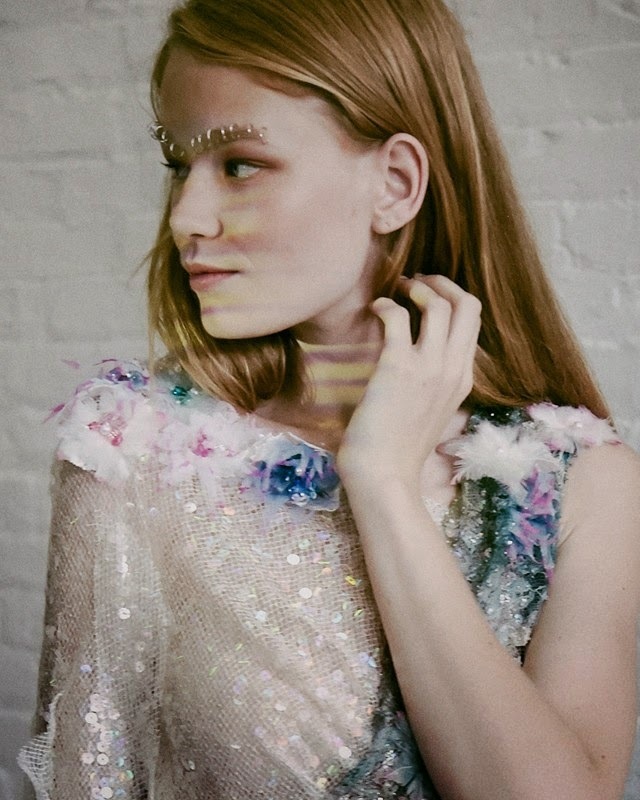 As always with Rodarte, there is a genuine story behind this collection where you can find some "gimmicks" (here they have nothing to do with a lack of creativity but more with codes making the Rodarte DNA): a bit of fantasy tales (Star Wars for AW14/15, now mermaids), some vintage vibes along with incredible techniques in embroideries, embellishments and knitting. A perfect cocktail for clothes leaving in their wake a sense of magic and ethereal beauties. The Mermaid figure of the Mulleavy sisters is actualized and symbolizes a fascinating character living outside the real world. Someone living with his/her own codes and wearing clothes that won't be found on everyone. According to us, a modern-day version of the Punk figure in a way (this impression is reinforced with the numerous rings piercing the models' eyebrows). There is an impression of DIY (one of the trademarks of the Punk movement) with these clothes. Not at all in a negative way (badly executed, cheap or ill-fitted) but in the assemblage of different fabrics and materials to create a unique effect of clothes coming from another world (perhaps from the underwater kingdom of Atlantis? ): silk, organza associated with sequined nets (fishnets? ), ruffles and flowers. As if they had gathered multiple things they had found on a beach after a storm to create mesmerizing dresses: some seaweeds, some pearly shells, some torn sails coming from a shipwreck. On some dresses, you even have the impression that they took the foam out of the waves to embellish their garments! 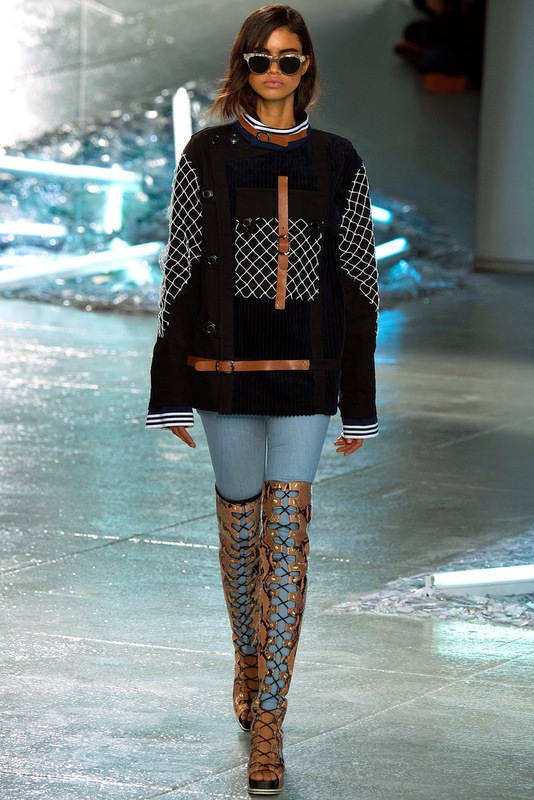 The SS15 Rodarte girls are as fascinating & bewitching as they look strong & powerful with these high-boots, sunglasses and piercings. 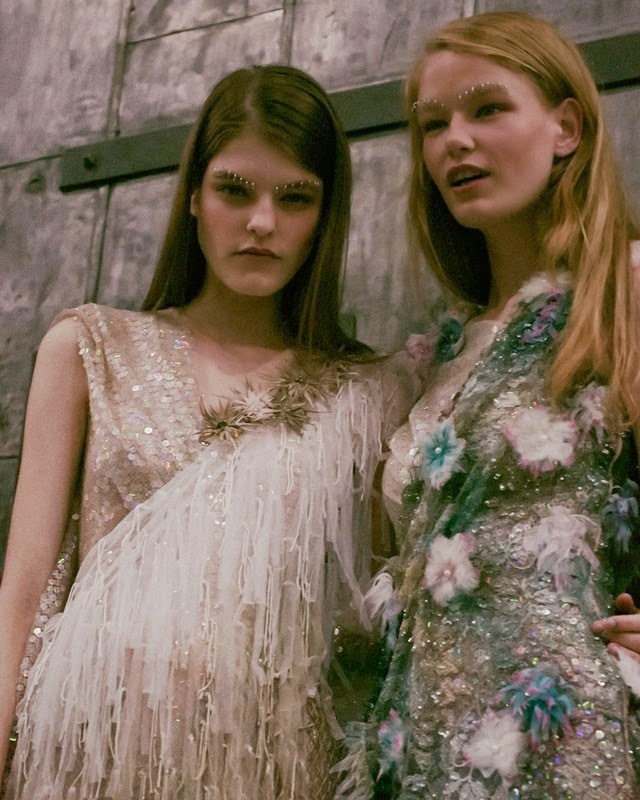 They are not just beautiful dolls wearing amazing, light and diaphanous clothes and that's what we love about Rodarte. There is always a sense of pure femininity in their collections but at the same time, there is always something more, a subtext saying "don't judge a book by its cover". 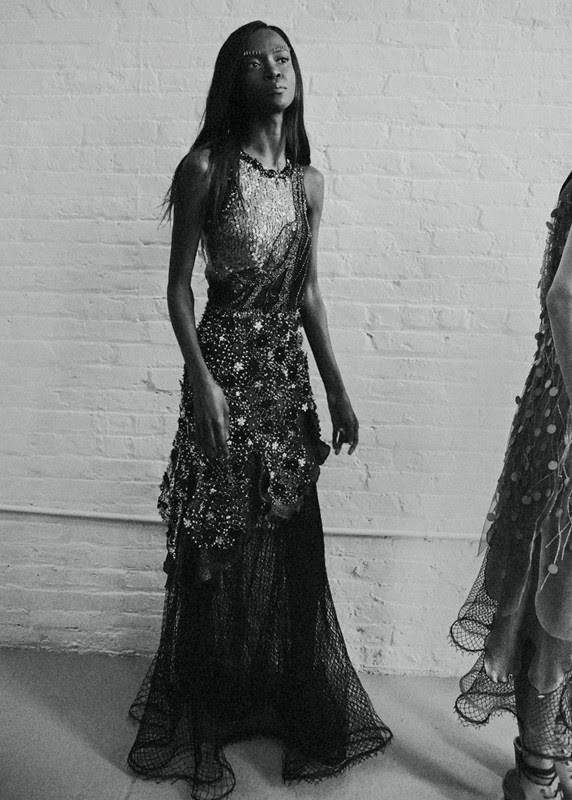 Women are not simple and so is the Rodarte girl! You may wear the most feminine dress, you have the right to be a badass too! 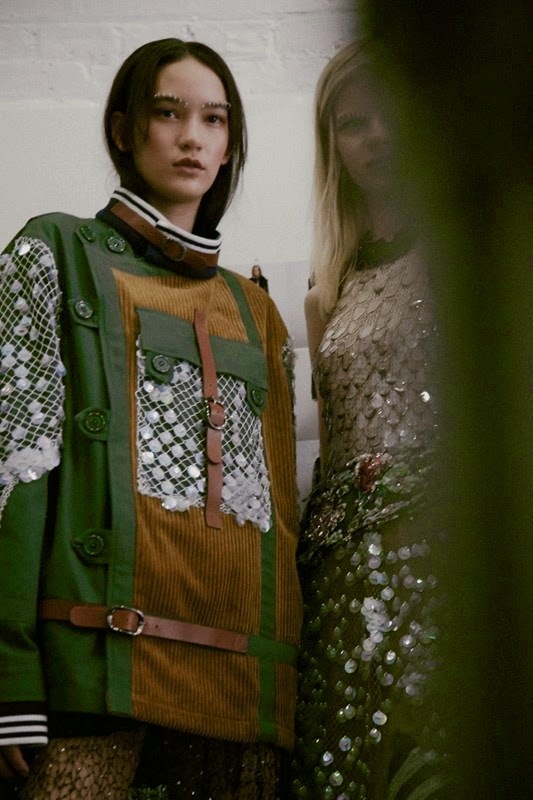 This impression is reinforced by the first part of the collection with the first looks: skinny pants, high boots with a complex lacing, large snap hooks belts, jumpers embellished by ruffles and worn over sheer tops. 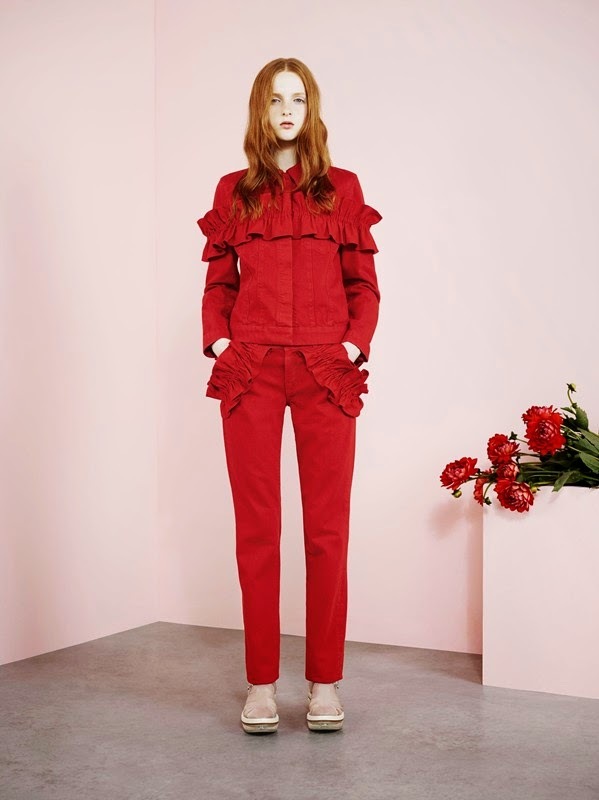 There are still very feminine elements (the sheer fabrics, the ruffles...) but they are counterbalanced by pieces reminiscent of the sailor figure or even of the pirate figure, the badass character by excellence! 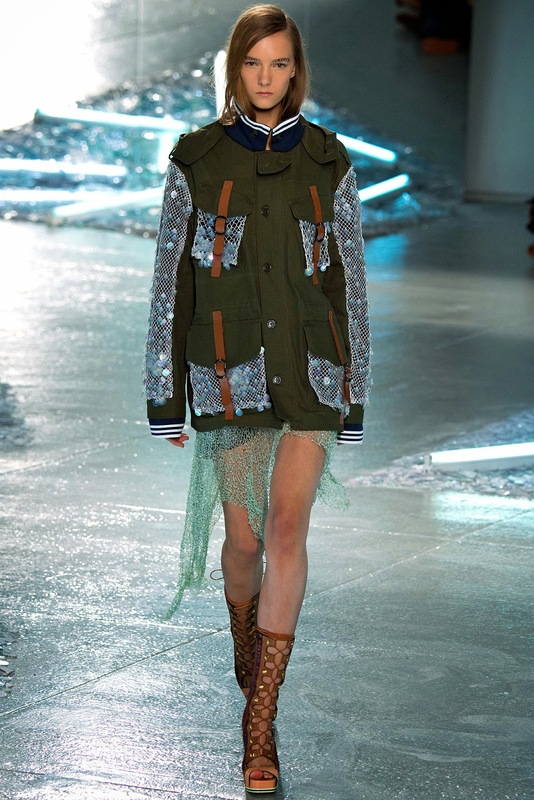 The incredible utilitarian jackets perfect for a sea trip strengthen this attitude. They are made of heavy materials (such as corduroy or leather), have large pockets and must be buttoned up to be sure to remain warm and dry but at the same time, they are embellished with the same elements as the ones you can find on the dresses: shell-like sequins or delicate fishnets. 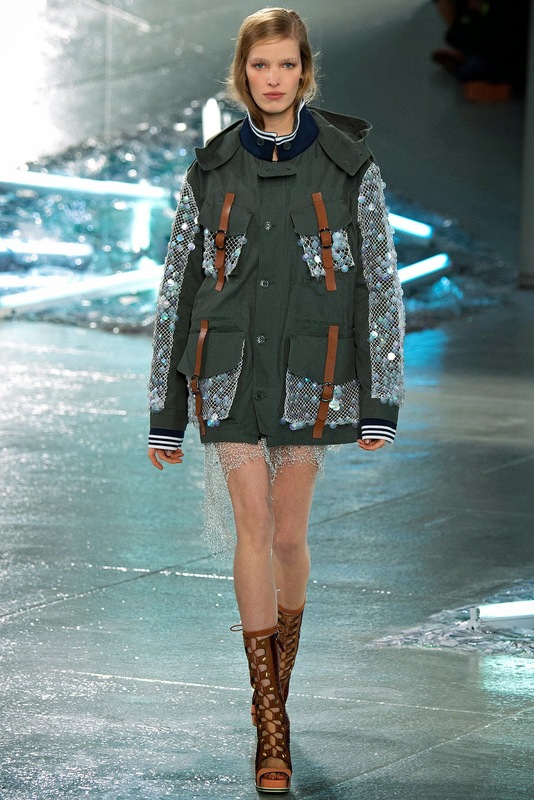 Along with the dresses, these jackets are the outstanding pieces of the collection and will sure be in several fashionista's wishlists for next season. With this collection, the brilliant Mulleavy sisters offer an alternative to the sea-punks and their kitsch imagery by imagining a strong girl with attitude. A modern-day mermaid who unlike Madison in Splash is not naïve and ingenuous but knows how to stand in society and how to be independent. She surely can be dangerous and poisonous but the more important here is that she is incredibly beautiful! Nobody owns the street culture or sportswear. There is no king or queen but designers who succeed in creating collections that got that vibe. 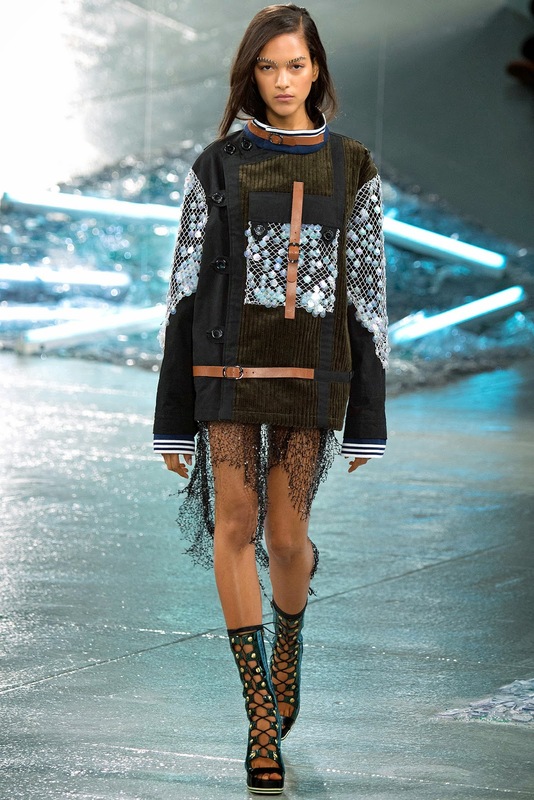 It's Alexander Wang, it's Shayne Oliver but it's also the Korean designer, Kathleen Kye. 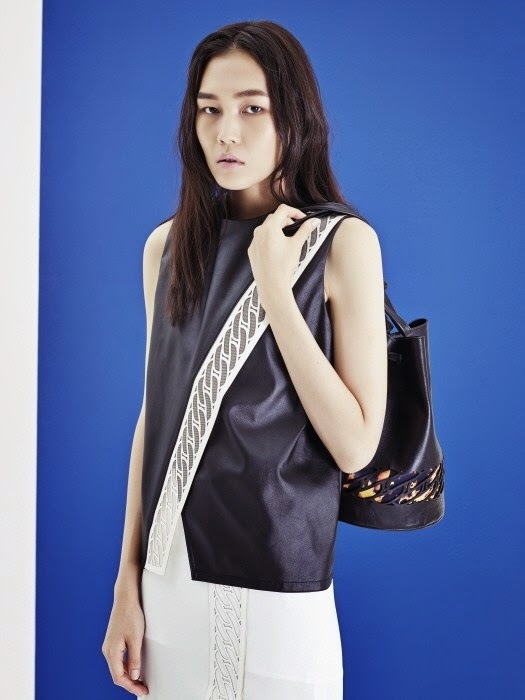 She dedicates her brand to high end fashion twisting it with sportswear. Her eponymous brand somehow represents her lifestyle. It is what she wants to wear and it is a reflection of her personality. Yet, Kye is not another sportswear brand. Her aesthetics is unique and her collections always stand out. That's why Kye caught our attention 2 years ago. 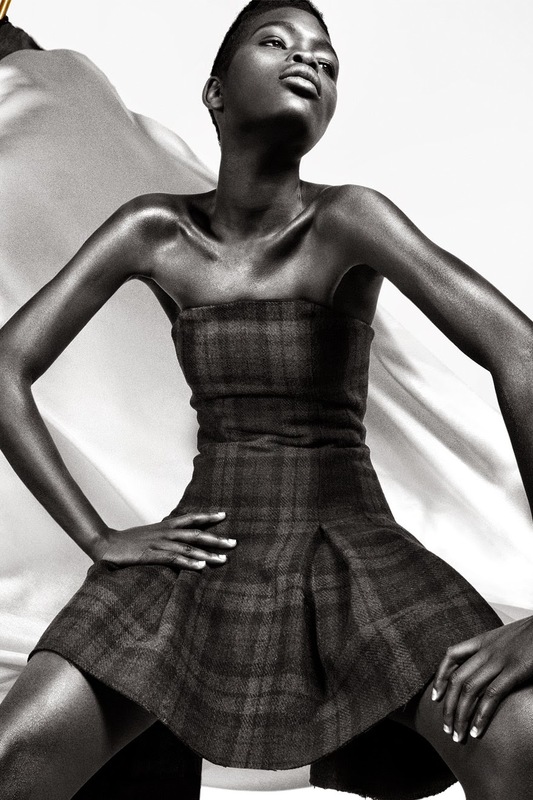 It is tough for young designers to stand out but she succeeded because she really has something to say. Each of her collections deserves a short piece of writing about it. 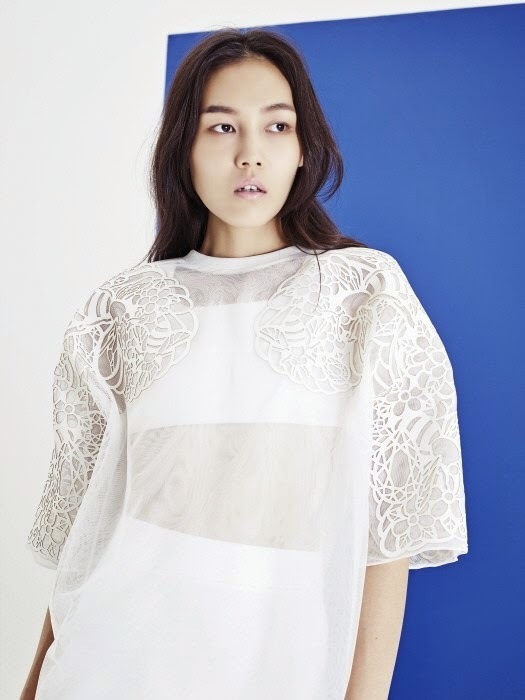 Her garments produce a nice addiction and there are always many pieces we'd love to wear. Actually, that's the main issue of her Spring Summer 2015 collection because we really want it all! Bugs are really not are favorite animals. We can almost say that they are the ones we hate the most (sorry for bugs lovers). 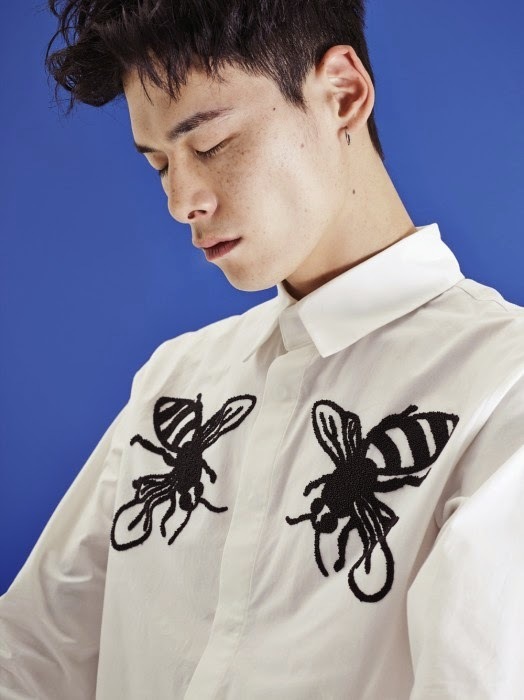 Thanks to Kathleen Kye, we are probably going to make peace with the bees embroidered on the shirts, jackets, t-shirts and shorts almost like a logo for the next summer collection. 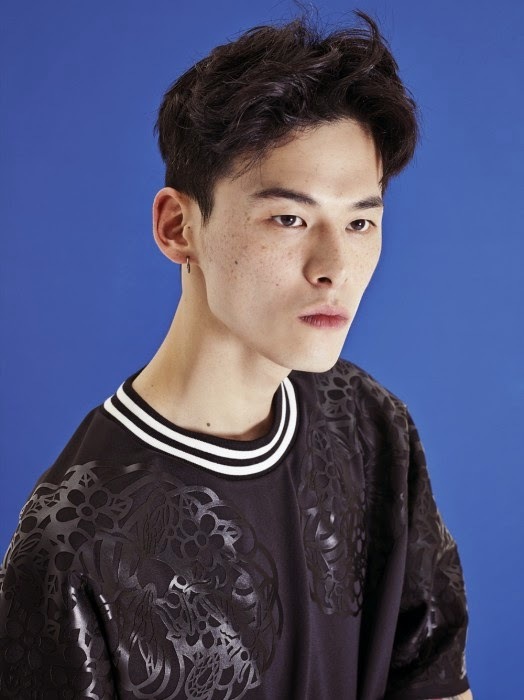 The bees are literally flourishing through the flowers on the sharp tailoring pieces that go with tracksuits or wide shorts made of leather with lazer-cut patterns of chains. There is also this explosive hive print giving us the impression that fire walks with these pieces. 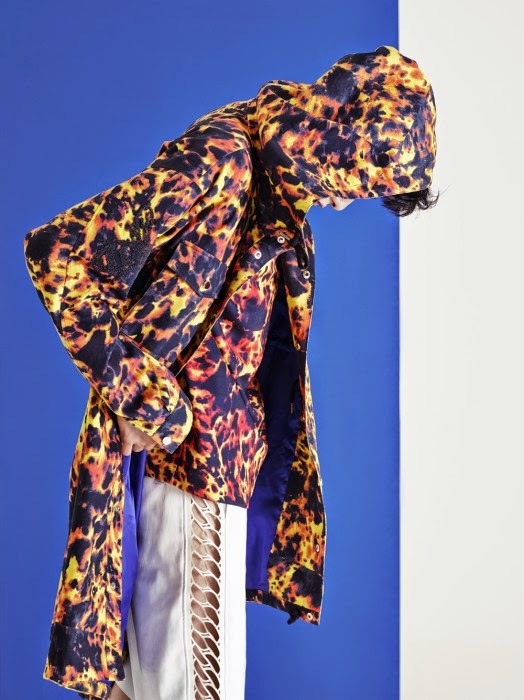 We love the idea of clothes that set you on fire. That's why Kye is not another sportswear brand! There's a lot of brand with sporty vibe. But, there's no one like Kye.